This is the overall outline of the anchoring process, without specifying any particular context, purpose, state, or stimulus. Step 1: Elicit a powerful desired state. Actually the best time to anchor a state when working with someone else is when the person is in that state naturally, but otherwise, or if you’re anchoring yourself, you can elicit a state from memory as long as it’s vivid and highly associated. If you believe that there’s never been a time when you’ve experienced the desired state, you can construct one – imagine what it would be like to be in that state, or to be the person who personifies that state in your mind. Step 2: Anchor: provide a specific stimulus as you notice the state changing. Step 3: Revert the state to the neutral baseline state. This is so that you can do Step 4. Step 4: Set off the anchor to test it. So: Elicit the state, Anchor it, Revert the state, Set off the anchor to test. We’re going to use Tad James‘ acronym for this, to help you remember it: E.A.R.S. – EARS. There are five keys to getting anchoring to work. If ever a person tries to set an anchor and it doesn’t work, it’s because one or more of these keys are missing. The Intensity of the Experience. The stronger the state, the easier it is to anchor, so you’re going to be making sure that you have a strong state before you attempt to anchor it. The Timing of the Anchor. This is crucial. States follow a kind of bell curve pattern – they get stronger, reach a peak, and fade away again. 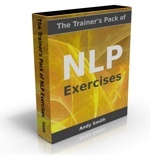 You want to bring in your stimulus or trigger to associate it with the state as the state is getting stronger – certainly not as it’s fading away.Many NLP books and courses suggest that you apply the stimulus at the point just before the state peaks. Now to my mind, this is like someone giving you directions that say “OK, there’s a post office on the left. Now half a mile before you reach that, you want to turn right.” You don’t know where you need to turn until you’ve gone past the landmark. How would you know when you’re immediately before the peak? Peter Freeth, who’s an NLP business consultant with a very practical turn of mind, has a better way of timing the stimulus that I like. He suggests applying the stimulus when you notice the state change. By the time you notice the external signs of a state change, it’s probably well under way anyway, so that should time it about right. Apply the stimulus – which can be a word, an image, a sound, or a touch – when you notice the state changing. 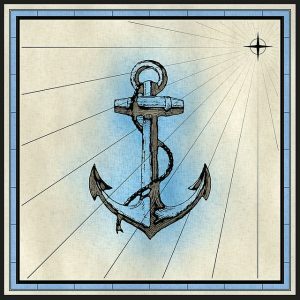 The Uniqueness of the Anchor. It has to be something unique, rather than something that happens all the time, so it doesn’t get set off by accident. For example, you could anchor a state of extreme exhilaration to the action of sitting down, but you wouldn’t want to be jumping up and going “Woohoo! !” every time you sit down for a meal. Still less if you’re a churchgoer. Replicable. The stimulus needs to be something that you can replicate easily. When you set an anchor, you’re going to want to replicate that stimulus so you can test that it’s worked. You need to be able to replicate it in the future so you can fire it off any time you need it. So you could anchor a feeling of confidence to the sight of a pigeon flying across the sky, but then you’d have to have a helper to carry a pigeon around with you. As you’re about to step up to give your big presentation, you’d have to give the order: “Release the pigeon!”Much better to have a small, unobtrusive gesture you can make, or a word that you can say to yourself, or an image you can bring to mind whenever you need it.And of course the trigger needs to be exactly the same each time you use it in order to work. If it’s a kinaesthetic anchor, it needs to be in the same place at the same pressure; if it’s voice tone, it needs to be the same voice tone. So make it something easy to replicate. Number of times. Our brains make associations in two ways. One is intensity, as we already mentioned. Just one instance can be enough to associate a state with a stimulus, if the state is intense enough.If the state is not so intense, or if it’s an internal representation or a behavioural response that you’re anchoring, repetition is the way to condition in the association. This is why soldiers drill for hours on the parade ground, and why martial arts students practice consistently, so that they automatically do the right block or counter to an attack, without having to spend valuable time thinking about it. It’s also why to get good at the Meta Model, for example, you should practice: so that the right question springs to mind any time you hear a Meta Model violation. 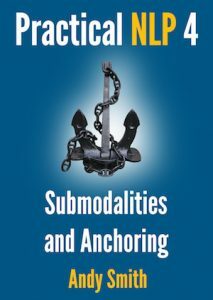 So the five keys to successful anchoring are Intensity, Timing, Uniqueness, Replicability, and Number of times. Again, Tad James has created a very useful acronym to help us remember the five keys: I-TURN. In the next article we show you a step-by-step process for how to set a resource anchor for yourself.